Stormwater is a heritage problem that no one wants to pass to the next generation. Worst problems include Auckland roads – generate 50% of stormwater including heavy metals. Next, soakage to the aquifer on Auckland isthmus [Auckland’s largest underground water source – should be pristine… untreated stormwater is now soaking in as no stormwater pipes or treatment are in place]. Lastly Combined sewers (also on the Auckland isthmus) where stormwater shares a pipe with sewage. Existing pipes are inadequate for stormwater volumes, sending untreated sewage and stormwater into back yards; flooding creeks; destroying habitat; and polluting bays and harbours when it rains. Invitation – if you are on Auckland Isthmus and have a concern about stormwater then please contact us and we can join you up with other groups. Your help will make a difference. 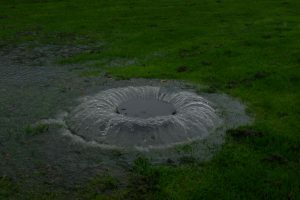 – Auckland Council has under invested in stormwater – especially relating to combined sewers and soakage. – Clean water infrastructure must receive the same planning, funding and attention in the Auckland plan that is being given to transport. – People living on the Auckland isthmus need similar standards to what is being built as Auckland expands into green-fields – the old stormwater infrastructure is a health risk. – There is an urgent need for local stormwater treatment systems to clean up the problems before discharge to water ways; stormwater has been found to be as damaging to streams and marine environments as coliforms are. Auckland Council has a ‘debt ceiling’ – ie a limit on the money they can borrow (and spend). • Cox’s Bay • Meola Reef • Weymouth Beach • Little Oneroa Lagoon • Wairau Outlet • Piha Lagoon • North Piha Lagoon • Wood Bay • Laingholm Beach • Te Henga (Bethells) Lagoons. (We would add • Onehunga Lagoon and inner Manukau Harbour also). Clearly pollution is not just an urban issue; our west coast beaches have been affected by failed on-site waste-water plants. 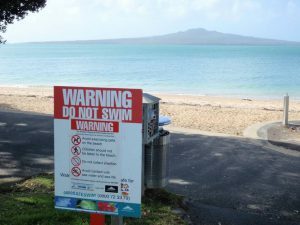 – The “Safe Swim” program later this year will alert people to this situation when the council is required to forecast and publish the quality of beach water. – Auckland Council has a visual simulation model which shows what happens now after a sewerage overflow: the sewage sits in the water, tides go in and out and it remains… it takes a long time to ‘flush out and is dangerous to ecological and human health meanwhile. STEPS recently joined with Manukau Harbour Restoration Society, SASOC, Friends of Oakley Creek in a stormwater presentation to the Auckland Council Environment and Community Committee (starts 29 minutes into live stream. See also our Stormwater slides and additional photos). Additional work is required to treat stormwater, and Council is still to approve this. It may include some sewer separation and some local treatment to reduce the volumes of stormwater flowing through the sewers. Best evidence treatment for stormwater is available, has been locally piloted and implemented successfully. Treatment is different from flooding control – it can be done progressively. Who will benefit from clean Auckland Harbours? 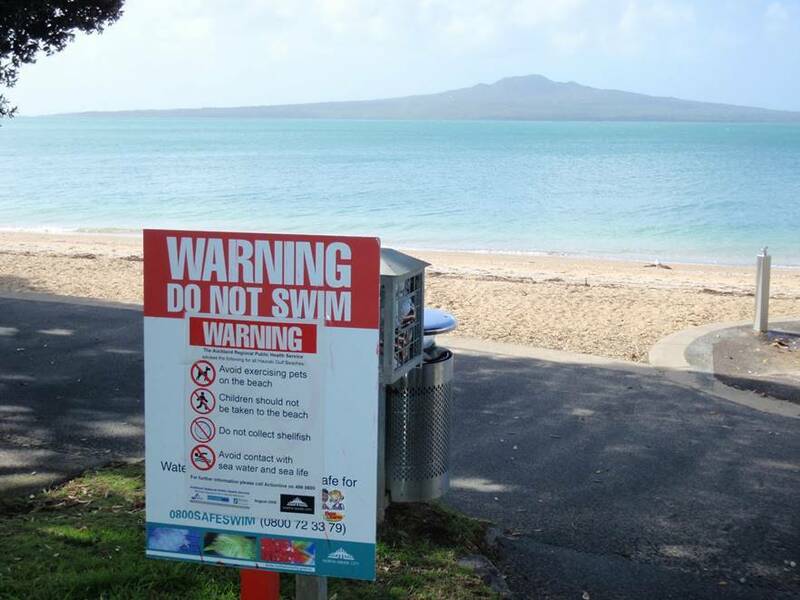 Yachties, swimmers, families and citizens generally would not have to deal with the sanitary items and E-coli counts that regularly show up on Auckland beaches, parks and in the water. So most Aucklanders and many other New Zealanders would gain from treating and separating stormwater. SASOC have written more extensively on this topic. We believe the costs for improving stormwater infrastructure could be in the order of $1 billion. Watercare have already designed the Central Interceptor. However if Auckland Council cannot remove the large volumes of stormwater going to MWTP then future Aucklanders may have to pay Watercare Services to build an entire new waste treatment plant which could be $ billions. Stormwater treatment is an essential investment. We believe it should be included in the Auckland Plan refresh and long term plan (LTP). Watercare waste treatment (urban) customers. Nation-wide water infrastructure includes: Drinking water, Waste Water and Stormwater with associated benefits to streams, harbours and ground water. Let’s remember that 86% of NZers live in cities and towns… and no one wants the next generation to be facing this unacceptable situation.